Do you ever wonder what you’re doing with your life? Are you in a job you hate, a relationship you don’t want to be in, or a life that has little resemblance to the one you'd imagined? Is this where you wanted to be at this time in your life? Are you living the life you want to live? Do you know you want and desperately need change, but you’re paralyzed by all the “what ifs”? Are you ready to discover your next….adventure, job, career, chapter, or relationship? What would your life look like right now on the other side of your decision? What if you were able to take that next step and know you are heading in the right direction? Imagine the excitement of diving into your next chapter, certain you’re on the right path for you! Are you Ready? Enroll now! This course is designed to help you identify what you want to do next with your life and give you the confidence and energy to be unstoppable in making it happen. We’re not going to be figuring out the rest of your life, just the next step. 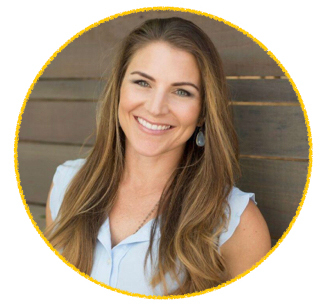 Throughout the course, I’ll be giving you the tools, processes and underlying philosophies I use in my coaching practice and teach all my clients - and they work. Then, you’ll have this process and the tools to navigate your way through this decision process whenever you need it in the future. If you're standing at a crossroads, wondering what you're doing with your life - this course is for you. If you're waiting for a sign to make that change and move forward - this is it. If you're ready to take your next step towards a more fulfilling life - this is your chance. 1) Enroll in the premier 5 Steps To Discover Your Next course for only $297 which includes all of the great benefits above. 2) To accelerate your progress, you can add-on a personal, 1:1 coaching session with a Discover Your Next coach. Just one session can provide additional clarity, breakthroughs, and support at any point in your journey. Enroll in the course + coaching add-on for $422. To accelerate your progress and enhance your course experience, add-on a 1:1 Personal Coaching Session with a Discover Your Next Coach! 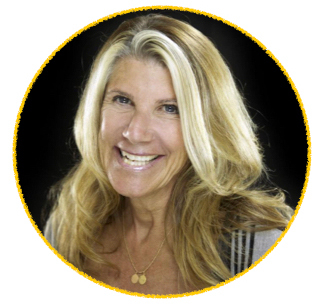 With over 30 years coaching and consulting experience, Nita is passionate, skilled, experienced, and committed to both tangible results and the well-being of the people with whom she works. Specialties: Business, Leadership, Personal Branding, Communication, Instinctive Drives, Taking a project (or dream) from Vision to Reality. biggest step of your life. We recommend planning on about 6 weeks to complete the course using our guided timeline. However, you are welcome to work through the material more quickly if you'd like. Once you enroll, you'll get access to the full six weeks. You have up to 12 weeks after you enroll to schedule your coaching call. You can sign up for the course any time you feel you're ready to figure out your next step! The classes are online, at your convenience. They are recorded and uploaded to a great platform. You'll have access to the entire course as soon as you enroll. I'll be sending you weekly emails to stay on track with the course outline, but you can do the classes any time that best fits your schedule! Would this course be good for my daughter? Is this course right for me? This course is designed for anyone who's looking to figure out what they want next in their lives. It's great for students trying to work out their major or first career. It's fantastic for those in a mid-life career change or crisis and are looking for their second act or next opportunity. It's perfect for moms who are struggling with the decisions about how they move forward. It's awesome for those who are retiring and looking for what they want to do in this next stage of their life. In fact, one participant emailed me back how much clarity she has gotten about this next stage in her life (and that wasn't even her original purpose for taking this course!). So, to be clear, this course is for anyone with the desire and motivation to figure out their next step, anyone who needs a jump start or shift in energy and anyone who would love to learn more about themselves. As long as you have the capacity to access and work through the material, you're good to go. How much time is expected to spend on the course? Reviewing the course materials and doing the weekly assignment will take around an hour each week. For each step, you'll have access to a video lesson, reflection assignments and activities. The time you'll spend each week will vary depending on what you're working through and how much time you would like to spend on the additional reflection opportunities. However, because this is a self-guided course you can take as much (or as little) time as you need! If you have any additional questions, please feel to reach out to Support@DiscoverYourNext.com! We are committed to helping you succeed. If you can show us that you’ve gone through all of the content, completed each exercise and activity, dedicated the recommended time and energy, did the work , and still haven’t experienced what you were hoping to get from this course, we insist that you reach out within 60 days to get 100% of your investment back.